Elizabeth Ward Gracen 2010: Elizabeth Ward won in 1982. Vanessa Williams in 2010. 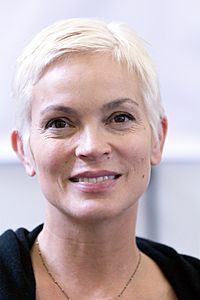 Vanessa won in 1984. Miss America is an American beauty contest. It is an annual competition open to women from the United States between the ages of 17 and 24. Contestants are judged on talent and interviews in addition to their physical attractiveness. It is run by the Miss America Organization, a non-profit organization based in Linwood, New Jersey. The corporation has developed the "Miss America Scholarship Program", which awards educational scholarships to successful competitors. The contest began in Atlantic City, New Jersey in 1921. It was an idea of newspaper reporter, Harry Finley, to increase newspaper sales and to promote Atlantic City. The first competition had eight entrants. The entrants were selected by their local city newspapers and their prize was a holiday in Atlantic City, and to take part in the "Intercity Beauty Contest". This was held as part of the second annual Atlantic City Pageant. 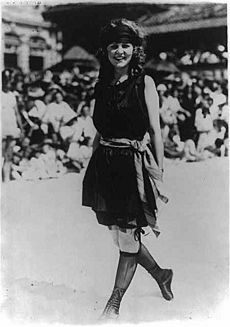 Margaret Gorman, "Miss Washington D.C.", a school girl from Washington D.C was selected by the Washington Herald. She won the "Inter-City Beauty, Amateur" and "The Most Beautiful Bathing Girl in America" contests. She was given the Golden Mermaid Trophy. Because these were awkward titles, in 1922 Gorman was renamed as "Miss America". List of Miss America winners Facts for Kids. Kiddle Encyclopedia.